You are here: Home / Den Talk / BCLionsDen.ca Training Camp Primer: What we’ll be watching next week at camp. BCLionsDen.ca Training Camp Primer: What we’ll be watching next week at camp. 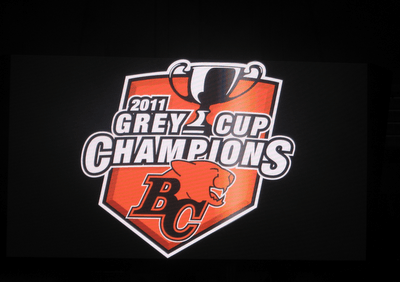 Tonight the BC Lions organization will celebrate last year’s Grey Cup championship one last time with a private dinner and ring ceremony. It will then be time to put last season behind them, head to Kamloops and start looking forward to the challenge of winning back to back championships for the first time in club history. We’re going to look forward as well, as it’s time for our pre-camp look at this year’s edition of the team. We’ll be in Kamloops from June 7th to the 10th, and will be tweeting and updating you with thoughts, pictures and whatever other little scoops we can come up with. Here are a few topics I’ll be keeping an eye on, when I get to training camp next week. Lions have retooled from the top down. Wally Buono has moved up stairs to focus on building the club, while protégé Mike Benevides now calls the shots on the field. 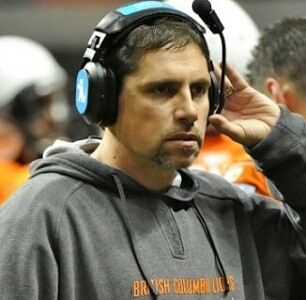 Just because he’s been trained under Buono, don’t expect Benevides to be a clone of the CFL’s most successful coach. He’s clearly his own man and by the sounds of things his edition of the Lions is going to attack the field in every facet of the game. When you hear Mike Benevides speak you can’t help but feel confident. Of course that has to translate into wins on the field, but so far you have to be impressed with Benevides and the way he handles himself. You can tell he lives and breathes football, and he’s chomping at the bit to get things going. Look for Benevides to take more chances in his game plans than his predecessor, and that could mean a really exciting year for Lions fans. Benevides scored a win when Rich Stubler was wooed back from Edmonton for the defensive coordinator job. That move alone, and the relationship between the two, will take a load off Benevides and allow him to focus on other key areas. If there is an early pressure to face for the new head coach, it will be to keep this team focused and to avoid the slow start that almost wrote their season off last year. The offensive line returns intact, which is huge. No question that the Lions had a little luck this off-season in getting Jovan Olafioye back after a medical issue delayed his NFL dream. No one is happier than Travis Lulay to have Olafioye back, who easily could have been named the top offensive lineman in the league last year. The general, Angus Reid returns for one more tour of duty. The big boys up front really gelled in the 2nd half of last season allowing Travis Lulay to stay relatively unscathed for the most part. 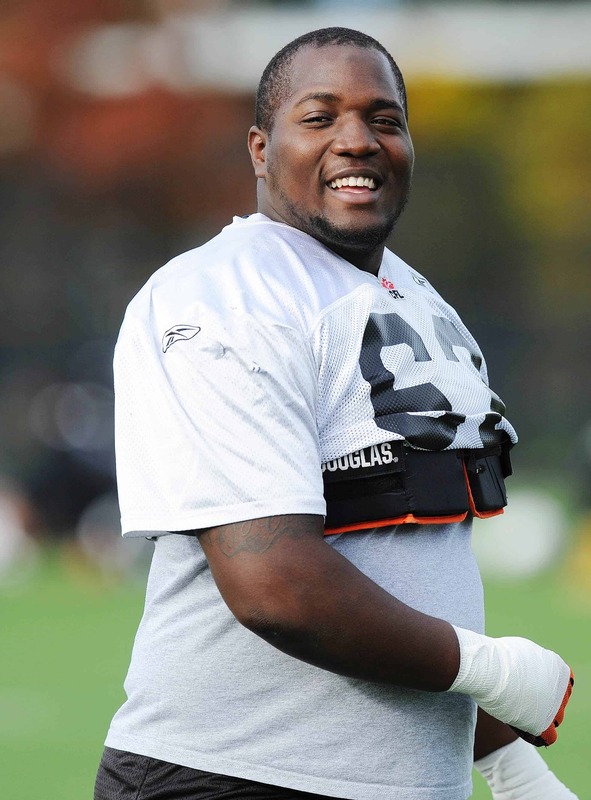 That will be even more paramount this season, with the comfort blanket known as Jarious Jackson now in Toronto. The biggest battle for me on the offensive line will be between the hard luck, often injured Jon Hameister-Ries and Jesse Newman. Newman took the job last season and never surrendered it after Hameister-Ries suffered a torn tricep injury. It’s interesting to note that the initial club depth chart shows Hameister-Ries as the starter which may tell you what Benevides’ preference is. On the defensive line the Lions are going to be hard to handle once again. The return of Khalif Mitchell is huge and with the return of Keron Williams, Khreem Smith and Eric Taylor the Lions should be in the mix for the sack title once again in 2012. Newcomers to watch are Rajon Henley, Jeremy Geathers and rookie Jabar Westerman. The biggest loss of the off-season was hands down the departure of Solomon Elimimian. Early reports from Minnesota sound promising for the speedy hard hitting linebacker to get a good look, so don’t expect him back soon, if at all. Even if he doesn’t make the team as a linebacker, Elimimian could make a nice career out of being a special teams player in the NFL, similar to another former BC Lion, Brendon Ayanbadejo, a multiple time pro-bowler. James Yurichuk will get his shot to claim the middle linebacker spot and if he can win the job, it will give the Lions more options ratio-wise. Hard hitting Adam Bighill is also a possibility and impressed the Lions last season, while newcomer Beau Bell will be interesting to watch. There’s nothing secondary about this group. The Lions raised a few eyebrows when they signed free agents all-Stars Byron Parker and Lin-J Shell, both formerly of the Toronto Argonauts. They join an already talented and experienced secondary where the challenge will be to get them all on the field at the same time. Davis Sanchez has retired so if the Lions still go with a Canadian at safety it will be between JR LaRose, Cauchy Muamba and Hamid Mahmoudi. The Lions will use the physical Shell as a nickel back according to their camp depth chart, where he will share time with the hard hitting Anthony Reddick. Korey Banks and Ryan Phillips will slot it in at halfback while Dante Marsh and Byron Parker will man the corners. Stanley Franks, who is recovering from a horrific knee injury is on the roster, but with no guarantees on his return, he is likely to lose that spot to make room for a healthy body. Andrew Harris is now the man at running back and he’ll have Stu Foord to spell him relief here and there. At full back there will be a battle between Rolly Lumbala, Tim Cronk and 2012 draft pick Jordan Verdone, a linebacker in college. With the Lions committed to a Canadian running back, if any of the new talent brought in make the team it will likely be in a returner role. Geroy Simon is 67 yards away from becoming the league’s all-time leading receiver, a mark that is completely obtainable on opening night. Simon shows no signs of slowing down and with the return of Arland Bruce, teams are once again going to have to pick their poison on who to double team. The emergence of Akeem Foster last season gives the Lions a big target with speed, and they will look for better things from Shawn Gore. Kierre Johnson, whose touchdown in the Grey Cup last year pretty much sealed the deal, returns and will look to play a bigger role with his outstanding speed. Paris Jackson is back in a support role while Marco Ianuzzi is poised to make an impact. Ones to watch could be Ernest Jackson, Courtney Taylor and Darnell Jenkins. The returning Nick Moore will have many gunning for his roster spot and will have to show well to keep it. The master, Paul McCallum returns, coming off one of his best seasons as a pro. Understudy Hugh O’Neill is also back with a year under his belt, and should McCallum’s defiance of father time start to show cracks he should be better prepared to play a role. For good measure, the club has brought in a third kicker, Quinn Van Gylswyk. Benevides will no doubt demand more on special teams, as the Lions return coverage was iffy at times last season, even down the stretch when they were playing their best football. Special teams demon Jason Arakgi will be a leader downfield as usual. On the return game Tim Brown returns for another season and you can be sure others will be auditioned there as well. Early names mentioned as candidates to challenge Brown are running backs Nic Grigsby, Taylor Atwood and Anthony Stewart as well for the role among the new receivers and running backs brought into camp. Last, but hardly least, Lulay. 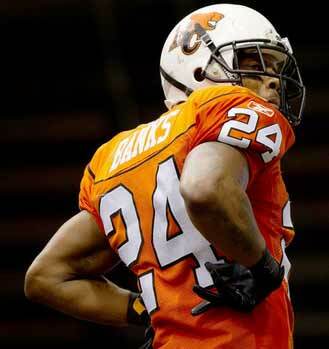 It’s no secret that as Lulay goes the Lions will go. During a twitter chat with the Grey Cup MVP, I asked him what aspect of his game he thought he needed to improve the most. His answer was “Reading defences at the line of scrimmage.” Another year under his belt along with his dedication to film and studying the game should help with that. Like all CFL teams, the Lions biggest job, will be to keep their prized QB healthy. Mike Reilly starts camp as the backup, but Corey Leonard has a year under his belt and could push him. Behind them, Thomas Demarco can run the ball and reportedly has a laser accurate arm as well. Whether he can learn the nuances of the Canadian game in time to make an impression will remain to be seen. Fourth arm BC Junior Jordan Yantz will look to absorb everything he can from his first taste of pro football.